Dental Services | Greater Meridian Health Clinic, Inc. Greater Meridian Health Clinic, Inc. provides quality dental services from a caring and compassionate dental team. We offer preventive and restorative dental treatments at affordable prices. We have dentists who provide general dentistry procedures, and a registered dental hygienist for cleaning and oral hygiene education. We travel on our Mobile Access to Care unit (MAC unit) addressing the dental needs of the communities. The technological updates to the dental department at all of the sites enable us to do electronic prescription to pharmacies, perform digital X-Rays, and have electronic dental records. 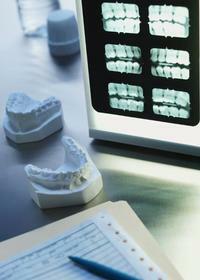 We are trying to bring methods and technology that can increase our ability to provide quality dental treatment. We educate patients about the importance of preventive dental care and try to establish a positive experience. Getting regular dental check-ups, keeping scheduled dental appointments and abiding by the self-management goals outlined by your dental provider are very important to staying healthy. The listed below are the dental care services provided by Greater Meridian Health Clinic, Inc. Dental Clinic.